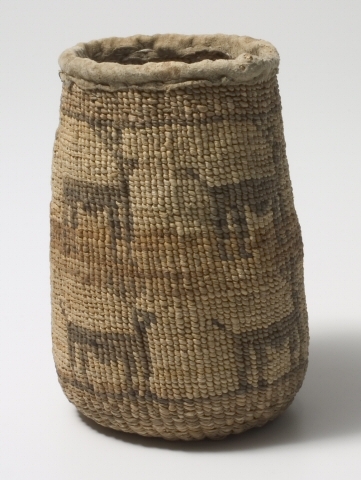 Round, twined, cyllindrical bag. Hemp and cotton weft at top and base, balance cornhusk. Human "Skeleton Man" design with animal figures. Top edged with buckskin., height: 6 1/2"; Diameter: 4 1/4"; circumference: 13"